Did You Know There's A Science Park In Pune Which Has An Inflatable Planetarium? 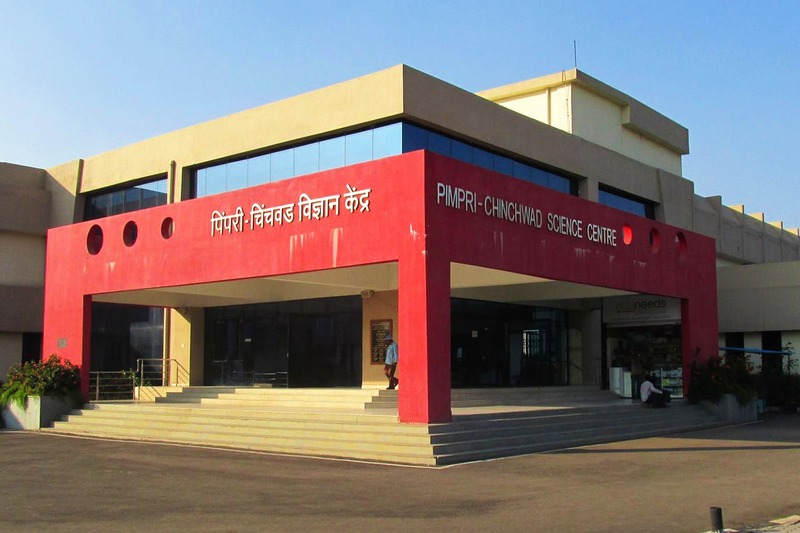 The Pimpri Chinchwad Science Park (PCSP) is an informal learning center, set up by the Pimpri Chinchwad Municipal Corporation (PCMC) and Government of India – and inaugurated in February 2013. Built over 7 acres, the Science Park has been jointly developed by the National Council of Science Museums (NCSM) and Pimpri Chinchwad Municipal Corporation. The PCSP was built to promote science and make it more accessible to the public – especially with students. Attractions here include four (individual) galleries on Automobiles, Energy, ‘Fun Science’, and Climate Change – which showcase attractive exhibits, information, 3D dioramas, working models, multi-media presentations, and interactive kiosks. Spread over 3.5 acres of their outdoor section are the ‘Open Air Science Expo’ – with several interactive exhibits that explain the basic principles of science; and the prehistoric-themed Dinosaur Park, which features large-size models of iconic ‘dinosaurs of different eras’ along with flora of the Mesozoic Period, and supporting information on all of the above. Entertain yourself with their ‘Science Shows’ conducted every day – like the 3D Science Show, the ‘Taramandal’ – an inflatable planetarium with an astronomy show, ‘The Science Demonstration Center’ – with live demos and experiments based on day-to-day life. There’s also a ‘Children’s Corner’ and ‘Sky Observation’ activities in the evening (weather permitting). The PCSP also hosts a ‘Popular Science Lecture’ once a month, with speakers who are eminent scientists/leading personalities in the Science and Technology field. Special student-oriented events like science seminars, science fairs, and science workshops are hosted by the PCSP as well, and they send circulars to local schools and colleges to notify them in advance. We recommend you take a guided tour of the museum first before you start exploring it on your own. The Pimpri Chinchwad Science Park is open on all days (except Mondays) and tickets will cost you approx INR 50 for an adult entry ticket, with an additional INR 20-30 each for the 3D Science Show and the Taramandal show, each (details here). Getting here is quite straightforward, and you can find detailed directions on the PCSP website. If you’re keen on becoming a member – the PCSP offers annual memberships for individuals, students, teachers, Institutions, and Corporate Houses (details here). Annual memberships for students start at INR 300 per year, which we think is quite reasonable. They’re also working on the construction of a new Planetarium on the premises, which will be open to the public upon completion.